"Hot" Hot "Hot Property! Desirable Location! Excellent And Endless Opportunities! Don't Miss Checking This Historical Charm. Minutes To Shopping, Restaurants, And All Other Amenities. 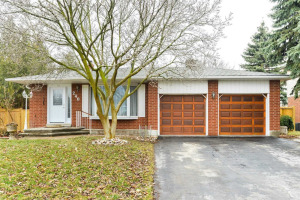 This Detached Bungalow Sets On A Premium Lot Surrounded By Mature Well Established Community. This Extra Wide Lot (66X132) Provides An Excellent Space For Any Addition To The Property.